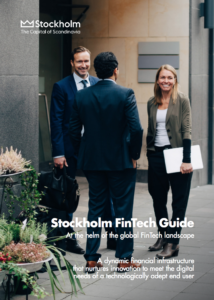 In the past years, Sweden has witnessed the rapid growth of its fintech ecosystem with 188 fintech companies established in Stockholm alone as of early 2018, according to the Stockholm Fintech Guide by Invest Stockholm. Several of these ventures have risen to international fame. 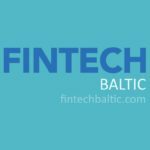 Klarna won a full banking license in June 2017, payments company Bambora was acquired by Ingenico for 1.5 billion EUR in July 2017, PayPal made its biggest acquisition ever by buying Swedish payments startup iZettle for US$2.2 billion, and BIMA, a Swedish insurtech startup, raised US$96.6 million in a strategic investment from Allianz X in December 2017. “The Swedish fintech scene is flourishing as the high trust in Sweden’s financial system, together with the fact Sweden has had a stable financial market for decades has created a unique environment in which consumers welcome new fintech solutions,” said Simon Edström, CEO of Instantor. 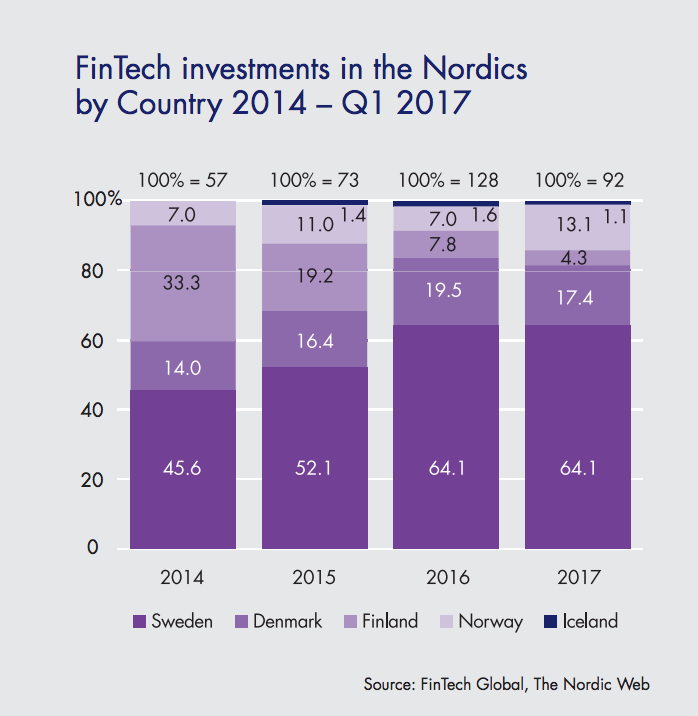 Over the last two years, Sweden has consistently attracted nearly two thirds of the Nordic fintech investments. According to the report, the success of the Swedish fintech space is the result of a combination of several factors including the country’s large pool of talent, tech-savvy end user market and supportive infrastructural and regulatory framework. Stockholm’s fintech industry has witnessed significant development in particular fields including payments but emerging trends such as crowdfunding, mortgages, pensions and other personal finance applications have rapidly emerged as well as, according to the report. The payments and lending space are currently amongst the most attractive segments within fintech. The payments space is dominated by unicorns such as iZettle and Klarna, but several smaller platforms also exist including Trustly and Swish. With approximately 99% of enterprises in Sweden being small and medium-sized enterprises (SMEs), Sweden was quick to embrace peer-to-peer (P2P) lending and is today home to Tessin and FundedByMe, two of the region’s top crowdfunding platforms. “As a lending marketplace platform the conditions in Sweden are extremely good for our operations,” said Erika Eliasson, chief investor relations officer at Lendify, a P2P lending platform based in Stockholm. Wealth management is projected to be amongst the fastest growing segments. Recently, Swedish fintech startups Qapital raised US$30 million in funding to enter the robo-advisor space. Sweden has a long history of innovation and is currently the second most innovative countries in the world, according to the 2018 Bloomberg Innovation Index. Home to successful startups including Spotify, Skype, King, Mojang, Klarna, Stockholm hosts one of Europe’s most important tech communities and some of the fastest growing startups in the world. In recent years, Swedish government has taken the lead in going cashless. Between 2010 and 2016, the number of cash payments has dipped from 40% to 15%. At the same time, electronic payments have surged. 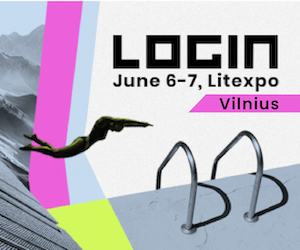 But recent initiatives such as the e-krona by Sveriges Riksbank, the country’s central bank, and the possible adoption of blockchain technology to record property transactions by land registry, Lantmäteriet, further reflect Sweden’s willingness to be at the forefront of technological change. Featured image credit: Central Stockholm and Old Town, commons.wikimedia.org.